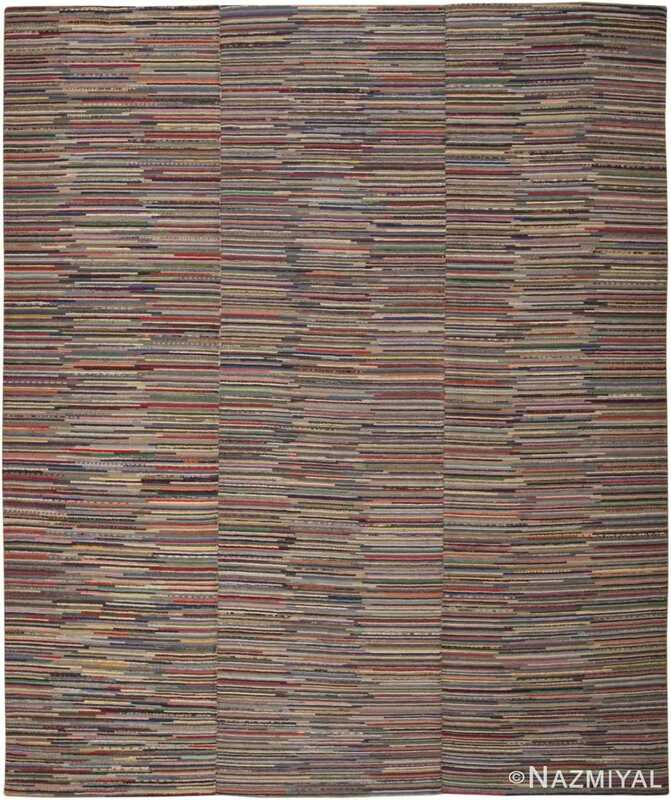 Strong variegated stripes rendered in an innumerable selection of bold colors create a phenomenal allover pattern that decorates this handsome vintage American rug. 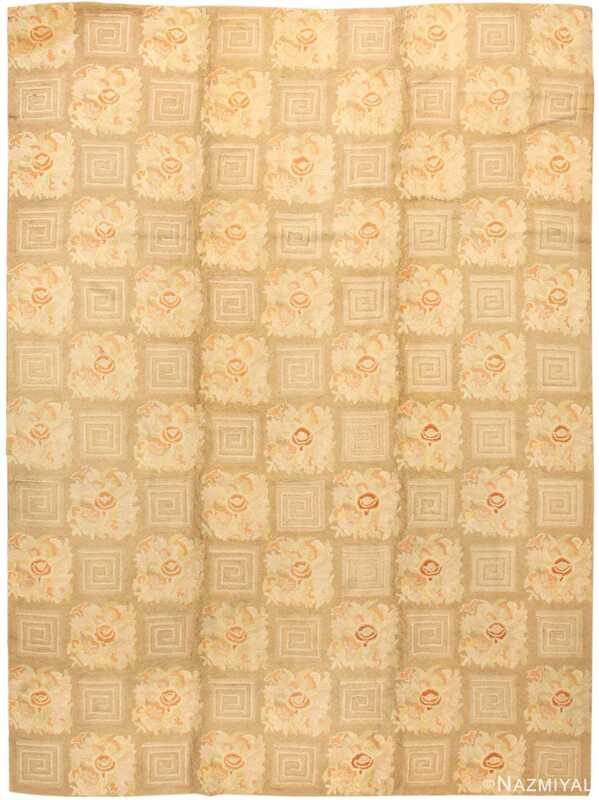 Hooked Rug, American, Early 20th Century – This sophisticated vintage American rug features a handsome allover pattern that incorporates a rich variety of monochromatic and variegated stripes arranged in staggered rows. 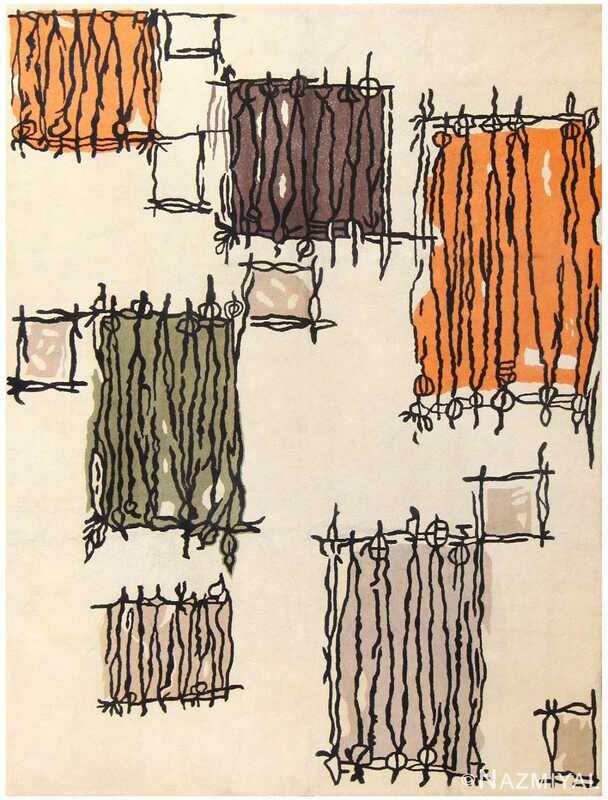 The polychromatic field is further divided into a triad of distinct compartments that create a graphic stripe-within-a-stripe pattern. Each narrow segmented stripe is set against a variety of contrasting colors that create a harmonious low-key pattern comprised of varied hues. The motley assortment of bold colors creates a tonal blend that is superseded by the dark hues and enlivened by the vibrant accent colors. 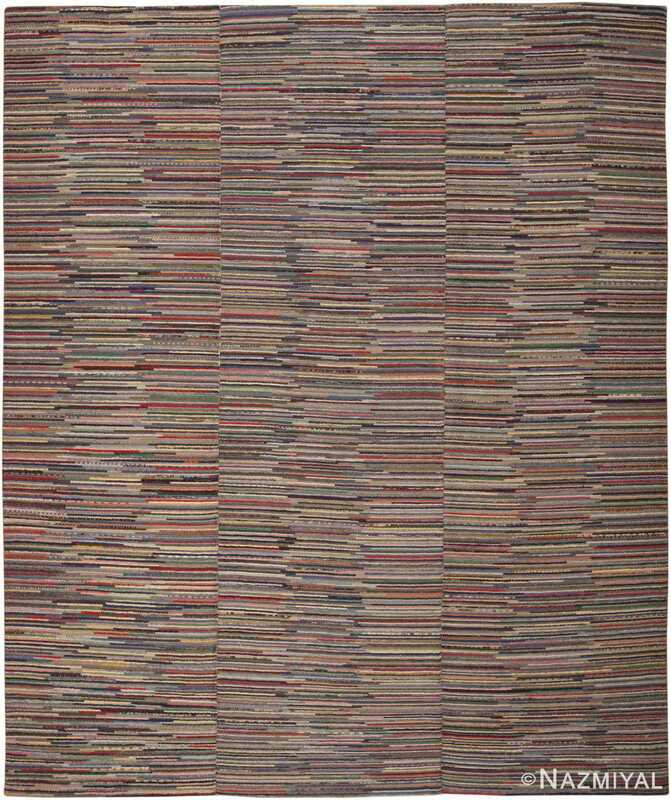 Reminiscent of piled books with varying dimensions and delightful colors, this handsome vintage American rug makes a bold statement with its rich textures and studious masculine color scheme. 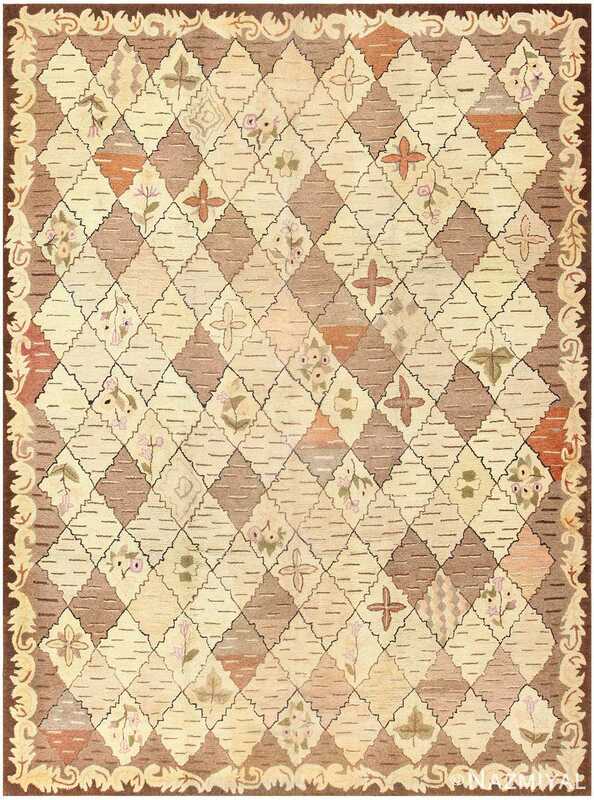 This charming and unusual antique American hooked rug presents a remarkable blend of Old World elegance and New World folk art.